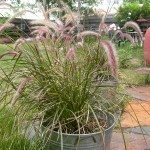 What can I feed my dwarf Hameln fountain grass? 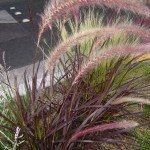 Ornamental grasses typically do not require fertilizer for lush, healthy growth. However, if you do choose to apply fertilizer, organic fertilizers (well-rotted manure, leaf mold, etc.) are excellent for ornamental grasses, as these release their nutrients slowly. If you don’t have easy access to any of these, you can simply purchase a bag of organic fertilizer for lawns.